Arresting of Anti-Gov. student demonstrator in the streets of Seoul. 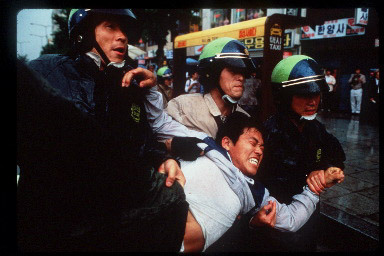 Anthony Suau, "Arrest," in POYi Archive, Item #16155, http://archive.poy.org/items/show/16155 (accessed April 18, 2019).